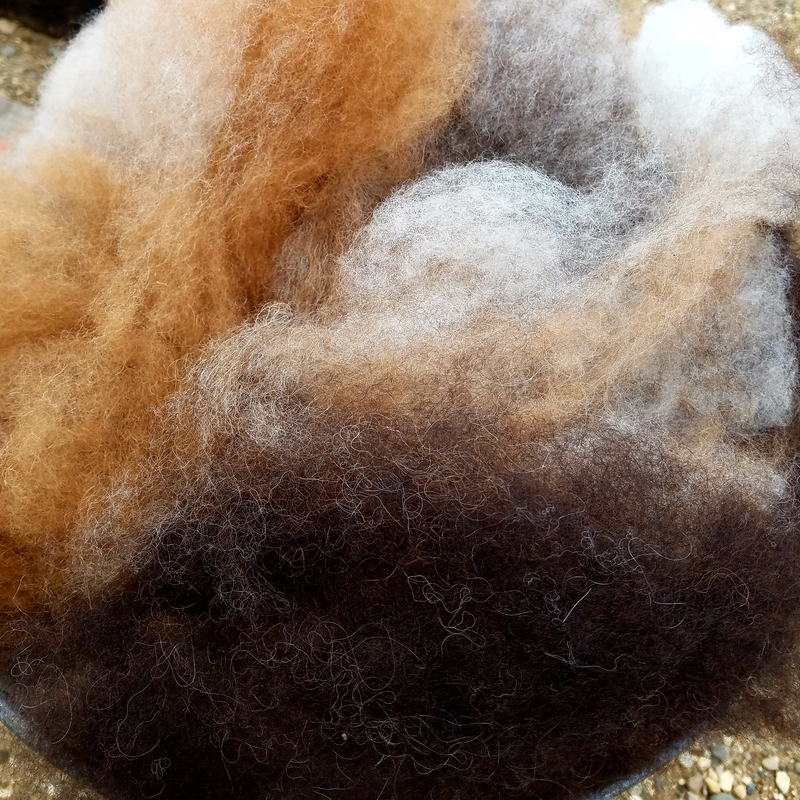 Natural brown, grey, black & white; colors from the flock blended together for an au'naturel spinning experience. 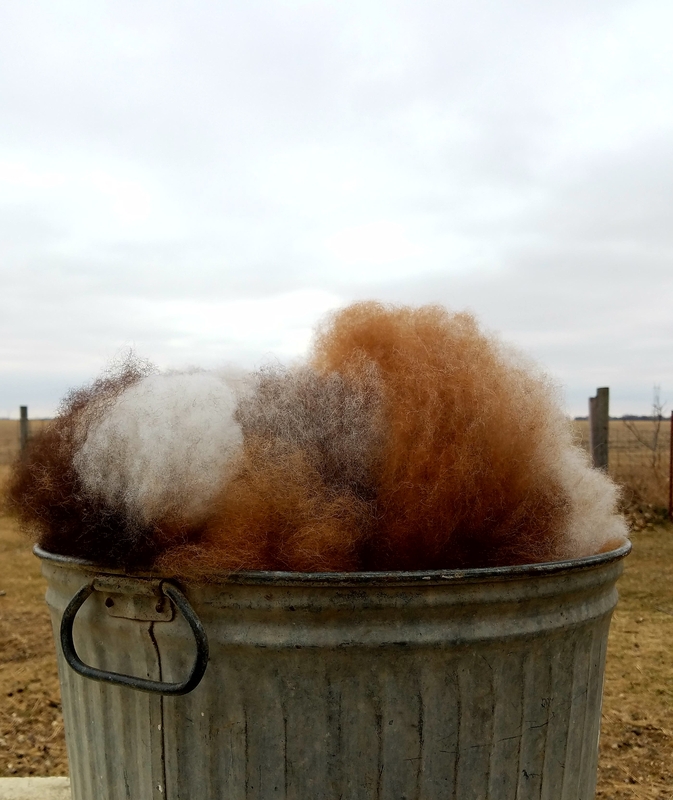 Soft, lofty, BFL lambswool, cormo wool, kid mohair, and alpaca all washed with biodegradable soap, carded without chemicals or oils and ready for you to spin. 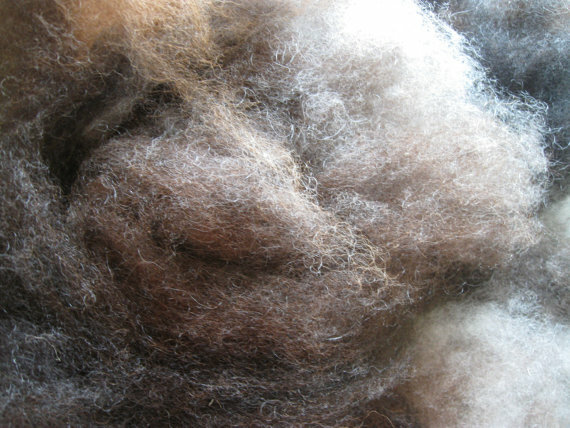 Biotayarn Spinner's Web is made by feeding washed wool(and other fibers) into a carding mill that opens up the locks, removes vegetable matter and passes it through several carding rollers that card the fibers but does not align the fibers parallel as in combed top. Pure and simple washing, dyeing and carding of the fibers gives you an easy to draft, airy preparation great for spinning a woolen or semi-worsted style yarn. Spinners used to commercial combed top, which can be dense and require significant predrafting, will likely find this carded preparation easier to spin. The fibers are minimally processed to help retain their unique characteristics. This natural cloud is ready to ship as a 4 ounce quantity. Larger amounts are available, please contact me for availability. 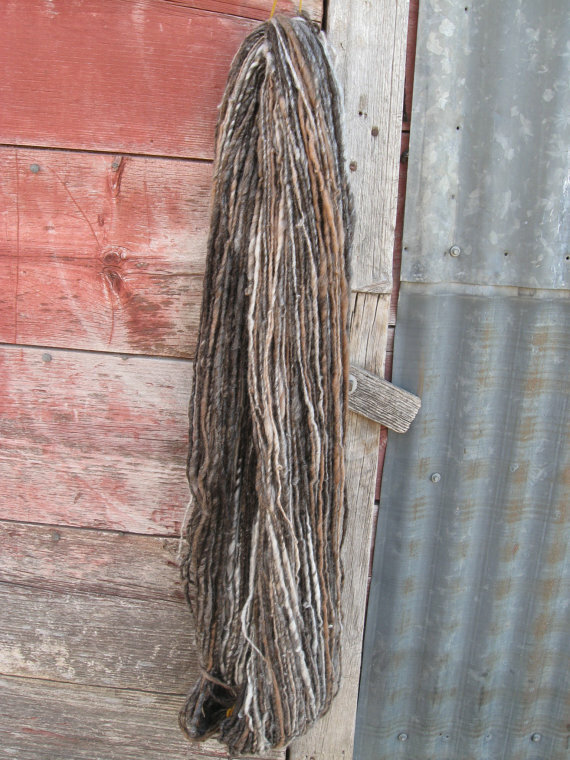 All of the fibers in this blend are currently still growing in the United States. Wool: a totally renewable resource.